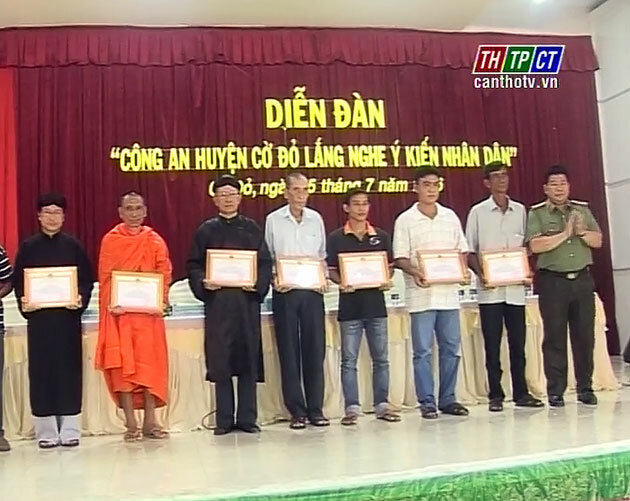 Cờ Đỏ suburban district has just organized the Public Security’s Forum of listening to people’s opinions. By directly posing questions on hotlines, letter boxes…over 57 queries revolving administrative procedures, social evils, traffic safety order assurance solutions, working attitudes of districts’ public security have been answered. 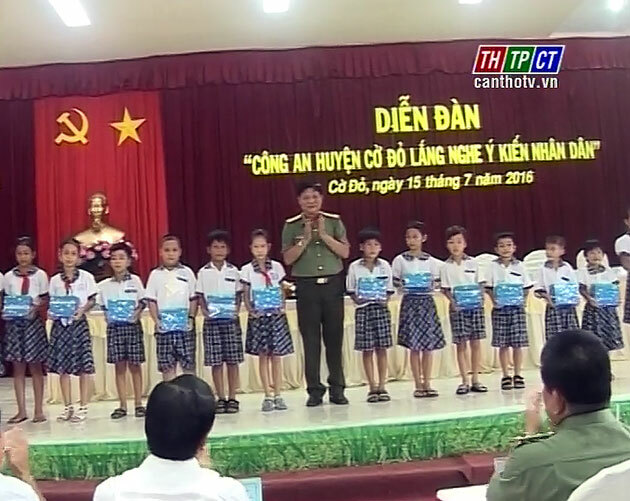 On this occasion, the Public Security of Cần Thơ city and Cờ Đỏ suburban district people’s committee have presented merit certificates to 20 excellent individuals in the people’s movement of protecting security of the Fatherland and 3,000 notebooks to poor pupils./.